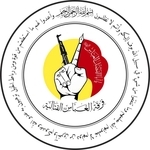 The Al-Abbas Fighting Division is an Iraqi Shi'a militia group that has emerged as part of the wider 'popular mobilization' trend since June 2014 to counter the advances of the Islamic State and the wider Sunni Arab insurgency in Iraq. The militia- named after Imam Ali's son Al-Abbas (Abu al-Fadl al-Abbas) first emerged at the end of June 2014 in the Karbala area under the narrative of defence of Iraq and the holy sites as well as responding to the 'marja'iyya call' [Shi'a clergy: most notably interpreting Ayatollah Sistani's fatwa] for mobilization. Some claimed areas of operation include Salah ad-Din province (e.g. the Balad area) and Jurf al-Sakhr to the south of Baghdad. The militia is headed by Maytham Zaidi who is linked with the general secretariat for the burial site of Abbas in Karbala. The Al-Abbas Fighting Division has a sub-contingent Liwa Ammar ibn Yasir that is not to be confused with the same military division of Iranian proxy Harakat al-Nujaba.